Looking at things: Autumn is over and 2014 is at hand. The continuing national drama and 2 stories: the Halifax tragedy and the florist’s tale. Interesting things happened on this day of the calendar. In 1768 the first edition of the Encyclopaedia Britannica was published. The U.S. Congress on this day in 1790 moved from NYC to Philadelphia before the southward migration ended in Washington, DC. In 1865 the Thirteenth Amendment to the U.S. Constitution banning slavery was ratified. (If you haven’t seen the new film, “Twelve Years a Slave”, that was based on a true story – you should.) The Halifax Explosion in Canada in 1917 was the largest man-made explosion prior to the development of nuclear weapons and until September 11, 2001 in NYC it was the largest disaster in North America with over 2,000 deaths and 9,000 injuries. What’s next in our national political and legislative drama? I wish we could look to someone for a reasonable set of answers. Clearly, health care is a human right and reasonable access to health care of good quality is in the national interest. The national interest was served in 1965 by the Medicare/Medicaid laws (largely over the vehement objection of our professional groups). Health care has changed almost beyond recognition in the 50 years since Medicare/Medicaid in terms of science, technology, systems, and expense. So some new iteration of systemic legislation is a reasonable expectation. As a sixth of the national economy, health care can’t be left solely to the “market” (which is far from free in any sense), nor can it be tinkered with federally without great care and deliberation. The national web-based system of health care exchanges built by contractors on the cheap with unreasonable deadlines and other constraints was bad tinkering. The present set of systems, organizations, rules, and regulations related to health care must be made to work, or we will face a serious melt-down of health care and the national economy. Having mentioned the Halifax Explosion anniversary a little earlier, we can’t let it pass without more comment. However, it needs to be viewed in terms of what was going on in the world on December 6, 1917. The First World War had been raging in Europe since 1914 although here at home Woodrow Wilson had started his second term of office re-elected in large part for his record of non-intervention. Germany announced resumption of unrestricted full-scale submarine warfare in February of 1917, challenging American restraint. 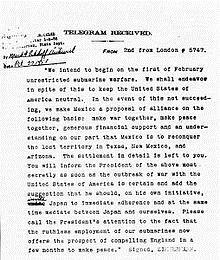 The decoding of a secret telegram revealed that Germany had invited Mexico to become an ally against the U.S. in exchange for the recovery of Texas, New Mexico, and Arizona. 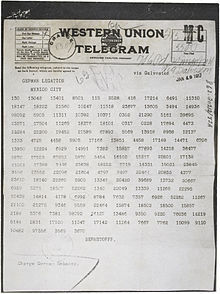 Doubt as to the veracity of the telegram evaporated in March when Arthur Zimmermann, Foreign Secretary of the German Empire, admitted he was the author. With the exposure of the telegram and the sinking of 7 of its merchant ships, the U.S. was provoked out of non-intervention and entered the war on April 6, 1917. Canada, of course, had been in the war from the start as part of Great Britain. That morning of December 6, 1917 the SS Mont-Blanc was trying to enter the harbor of Halifax, Nova Scotia to join a slow-moving convoy to Europe, gathering in the basin of the harbor. 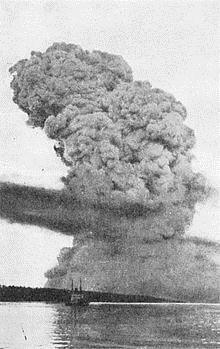 The explosives on board the SS Mont-Blanc included TNT, picric acid, benzole, and guncotton. The ship had arrived from New York too late on December 5 for the evening deadline when the anti-submarine nets went up at The Straights leading to the harbor basin and thus had to wait to enter at first light the next morning. Harbor Pilot Francis Mackey had come on board and spent the night as guest of Captain Le Médec. So on the morning of December 6, moving at the slow speed of less than 1.5 miles per hour (.87 knots/hr) the SS Mont-Blanc headed northwest into The Straights on the Dartmouth side of the channel. A Norwegian vessel, the SS Imo, chartered by the Commission for Relief in Belgium, had been in the Port of Halifax since December 3 enroute to NYC to pick up a cargo of relief supplies to bring back to Europe. The Imo was without cargo and high in the water, leaving her difficult to steer. She had refueled with coal in the Bedford Basin of Halifax Harbor and had intended to leave port on December 5, but its 50 tons of coal had arrived late in the afternoon and by the time the loading was completed the anti-submarine nets had been raised outside The Straights so the Imo had to remain in port that night. Captain Haakon From, an experienced Norwegian seaman and whaler, was anxious to get moving the next morning and headed out The Narrows along the Halifax side of the channel starting its journey to NYC. Proceeding at a speed in excess of the seven knot limit he encountered an American tramp steamer coming towards him (on the wrong side of the channel). For practical reasons the two captains, who knew each other, agreed to pass each other on their right sides, port-to-port (rather than the starboard-to-starboard convention of Article 18 of the 1910 “International Rules of the Road, Regulations for Preventing Collisions at Sea”). The Imo then found itself in the path of an oncoming tug and 2 scows that forced it even more off course toward the north side of The Narrows. This then brought the Imo directly into the path of the on-coming Mont-Blanc. The two captains saw the predicament and the Mont Blanc went to port and at the same instant the Imo reversed her engines. However, because the Imo was so high in the water, with its single 20 foot right-hand propeller and rudder partway out of the water, the ship had reverse thrust, tending to swing to the left (port) on forward motion and the right (starboard) if in reverse. The engines were cut, but the momentum of the two ships could not be reversed. At 8:45 AM the ships collided at slow speed in The Narrows. The prow of the Imo went into the starboard hull of the Mont-Blanc causing a 9-foot gash into the No. 1 hold. As the Imo reversed its engines to disengage sparks ignited a fire with benzole spilled from some barrels crushed by the collision. The fire quickly spread out of control and the Mont-Blanc crew knew an explosion would be imminent. They fled the burning ship in lifeboats and the slack tide carried the empty ship to Pier 6, on the Halifax side of The Straight, where it beached at the foot of Richmond Street which was near the western end of The Straight. The fire continued, attracting hundreds of spectators, and at 9:04 AM the explosive cargo ignited. Mont-Blanc was completely blown to pieces, and the remains of her hull were launched 1,000 feet into the air. The pressure wave from the explosion flattened much of the city, bent iron rails, and snapped trees. 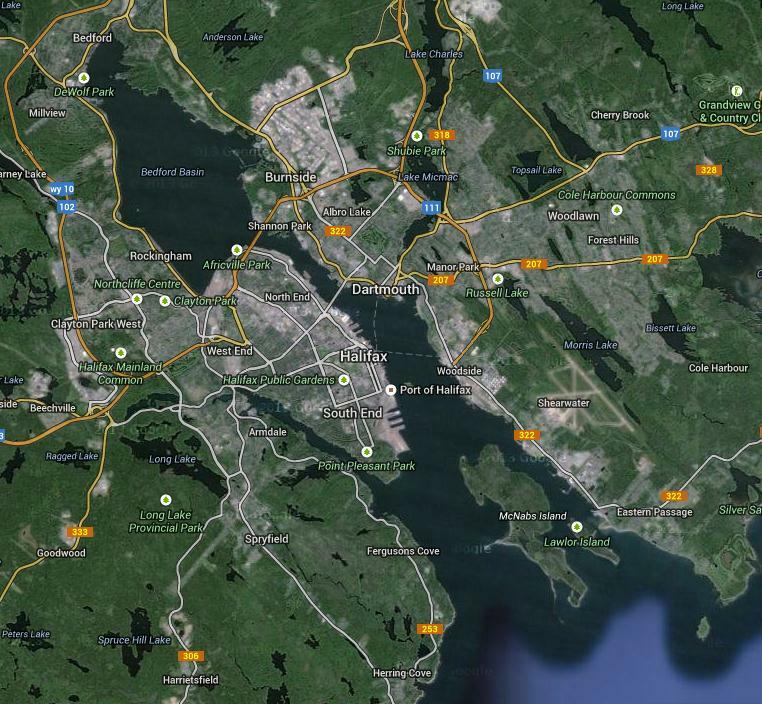 Pieces of the ship landed all over Halifax and Dartmouth, the town on the other side of The Straight. Some pieces of the ship traveled over four kilometres. One Mont-Blanc cannon landed 3.5 miles north of the blast site and the anchor shank landed 2 miles south. Today you can find these mounted where they landed as monuments to the disaster. A tsunami from the blast wiped out the community of Mi’Kmaq First Nations community in the Tuft’s Cove area. Hundreds of people who had been watching the unfolding drama of the ships were blinded by exploding windows. The disaster elicited a wave of volunteers from the United States, including Ernest Codman, in many ways the inspiration for modern day “outcomes research.” He had established a hospital constructed around his “end-result idea” but on hearing of the Halifax Disaster he closed his hospital doors and headed north to help. The Codman Hospital never reopened. 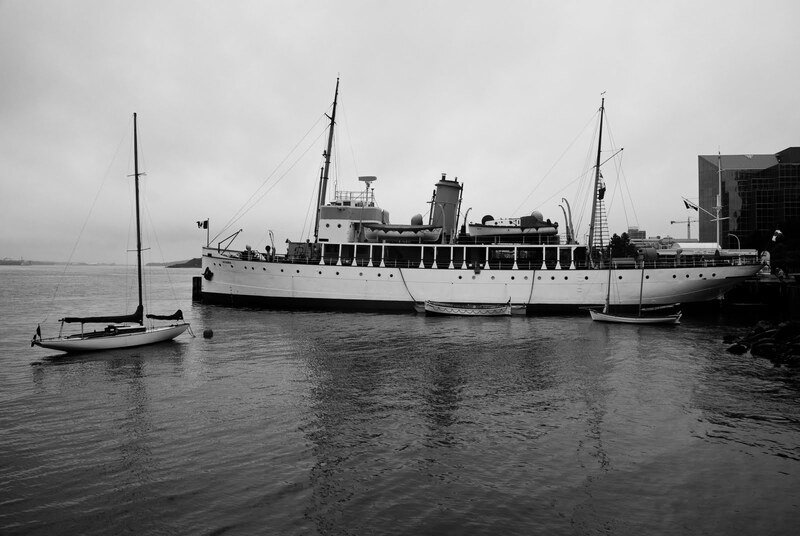 The Wreck Commissioner’s Inquiry placed blame with the Mont-Blanc captain, harbor pilot, and the port’s executive officer – Royal Canadian Navy, Acting Commander F. Evan Wyatt. The men were immediately arrested and charged with manslaughter and criminal negligence. A Nova Scotia Supreme Court justice, however, found there was no evidence to support the charges and Mackey was discharged on a writ of habeas corpus and the charges dropped (15 March 1918). As the captain and pilot had been arrested on the same warrant, the charges against Le Médec were also dismissed, leaving only Wyatt to face a grand jury hearing. On 17 April 1918, a jury acquitted him in a trial that lasted less than a day. Le Médec returned to France and continued his career with the French Lines. His North American counterparts, however, found their careers ruined. Wyatt and his family moved to Boston where he worked in the merchant marine for a few more years. Mackey spent his life savings fighting for reinstatement of his pilot’s license, which he finally regained in 1922, but the stigma of the disaster tarred him and his family even after he died in 1961. Much was learned from the disaster, in terms of navigation safety, training, and medical response. Although catastrophe provokes change more urgently than tranquility it is not necessary to wait for the gigantic disasters of life to learn and improve processes. The many clinics and operating rooms of Michigan Urology are more complex than maritime passage in The Straights of Nova Scotia, and while the consequences of imperfection do not level a city like the Halifax Disaster, they can have substantial individual impact. Few human enterprises are perfect, but perfection must be our target. We try to learn and improve daily with tools such as PDCA (plan-do-check-act) cycles and Gemba walks. Casual communication in the community also reveals opportunities to learn where we fall short and how to work better. This happened just a few weeks ago at home as we were getting ready for a Sunday brunch with residents and new faculty families. We do these in batches because our faculty, residents, and fellows in aggregate exceed our home footprint. 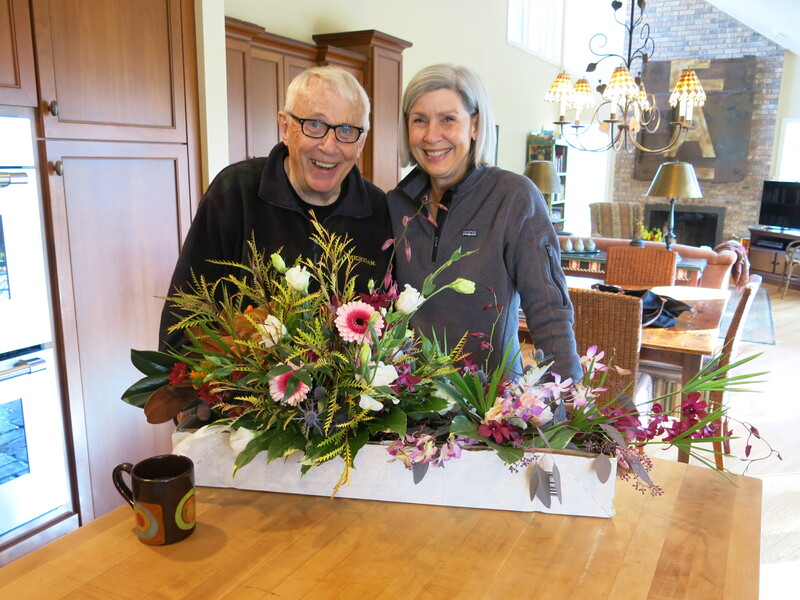 Tom Thompson, friend and florist extraordinaire, was bringing over the flowers for the event and he was in exceptionally good spirits due to his new orthotics. I could relate to that, since like many people who work on their feet I know what plantar fasciitis (a similar problem) is like. Additionally as a purveyor of health care for our Urology Department services and as of vice chair of our Faculty Group Practice I am very interested in other people’s experiences with our system at UM and with the systems of our colleagues regionally and around the country. Tom gave me permission to tell his story. He is a tad older than I am and he has had painful, non-diabetic peripheral neuropathy – exacerbated by his job on his feet all day. This has been going on for several years and it sounds similar to plantar fasciitis that affects many surgeon and OR nurses. Tom has seen some of our UM folks and had testing that made the diagnosis, but found no therapeutic relief from our clinics. One day, in his store, a local orthopedic surgeon, Robert Young, hearing of the problem, suggested a trial of foot orthotics. Tom pursued that lead and went to a UM clinic where a young health care professional came in with an entourage and asked: “What is your problem?” Now Tom is a pretty agreeable and mellow soul, but as a florist with a gift for “presentation” he found the question brusque and perhaps unnecessary given our highly touted electronic medical record. I agreed – that particular opening gambit is a suboptimal introduction of a healthcare provider (and an intimidating phrase) to a patient. I don’t want to draw too fine a point with this. The youngster in question clearly intended no malice and was probably wearing down at the end of a busy day. Maybe his feet hurt too. Ultimately, the blame for this little episode must come back to me, my fellow chairs, and our faculty. As teachers and role models, we are imperfect, but one would think the products of our instruction should be able to do better than Tom’s experience – which is neither isolated nor unique. The introduction, the conduct of a clinic visit, the ability to make a diagnosis, and the commitment to find a meaningful solution to a clinical problem are the “blocking and tackling” basics of our work in health care. For many of our young health care professionals those basics are eclipsed by economic and technical realities. Economic pressures from E & M coding, the HITECH Act, the ACA, and ICD10 direct more health care dollars to the corporate world – and distort every patient experience. The electronic medical record turns the ancient doctor-patient experience into an “encounter” with mandated electronic “check-offs” wherein the computer screen has become a surrogate for the patient and the “provider” becomes a stenographer. Anyway, I’m glad Tom is feeling better and still working, but I feel as though we could have done our jobs (educationally, professionally, and therapeutically) better. Looking forward, 2014 will be here soon enough. I had a productive mini-sabbatical last year with our A3 analysis and the Department of Urology benefited from John Wei’s term as Acting Chair. We will repeat the experiment this year with the next half of the mini-sabbatical when Stuart Wolf will take his turn as Acting Chair. The AUA will be in Orlando in May and we hope to see many friends of the department at our Nesbit Reception Sunday evening May 18 from 5:30-7:30 PM. An essential source of funds for our prostate cancer research is the Michigan Men’s Football Experience, and the dates for this have been fixed at June 4 and 5, 2014. This was the innovation of Dave Brandon and Jim Montie during the great coaching era of Lloyd Carr. Brady Hoke and his superb team have been developing and building that tradition. The Hoke coaching staff has been coaching our department in recruiting methodology and their teaching helped greatly in our urology recruiting this autumn. Next in the calendar comes the Ann Arbor Art Fairs with the Chang Lecture on Art and Medicine (Thursday, July 17 during the Art Fair at 5 PM), followed the next day by the Duckett and Lapides Visiting Professorships. Our Nesbit Society Seminar is planned for October 9-11 when, as I predicted in item #1, autumn 2014 will be here in the blink of an eye. So please pencil some of these into your new calendar as soon as you open it up. Postscript notes. a.) Last month our internal weekly “What’s New” profiled a Part II update from John Wei our Director of Communications, Marketing, and Networking; Khurshid Ghani in the Endourology Division; Nina Casanova fellow in our Pediatric Urology Division as well as Lindsey Cox and Anne Suskind fellows in our Neurourology and Pelvic Reconstruction Division; and John Stoffel our Associate Chair for Ambulatory Urology Services on the ACU. Website: http://www.med.umich.edu/urology/about/MonthlyNewsletter.html. Recent award: Susanne Quallich was awarded the Arthur T. Evans Lectureship for her presentation on “Diagnosis and Management of Chronic Testicular Pain: State of the Science” at the Society of the Urologic Nurses and Associates 44th Annual Conference in Chicago last October. Best wishes, and thanks for spending time on What’s New this weekend. Your comments are welcomed.